Because it has been a while since I bought this brush. The date stamp on the pictures says I took them at the end of 2015 (!!). As I mentioned, since then MAC took the decision to make their brushes cruelty free and change all their brushes to synthetic hair brushes. That change included the iconic 217. The 217s should be the same as the original, but since I don’t own that, I have no clue how they would compare. And since MAC brushes aren’t exactly cheap, I haven’t bought another one to try. This brush retails for a whooping €22. Just let that sink in for a minute. MAC brushes don’t come with any packaging. You just buy the brush as is. This is the only MAC brush I own. I have never been interested in any of the others and the only reason why I bought this is because I wanted a fluffy crease brush. Before I bought this, all the crease brushes I used were tapered and I was looking for a different shape. So I decided to try this to see how it would work. Ever since I bought this, I have been using it and I never looked back. Those tapered brushes I used to love hardly ever get a spin anymore, but this 217 I now use every single day. 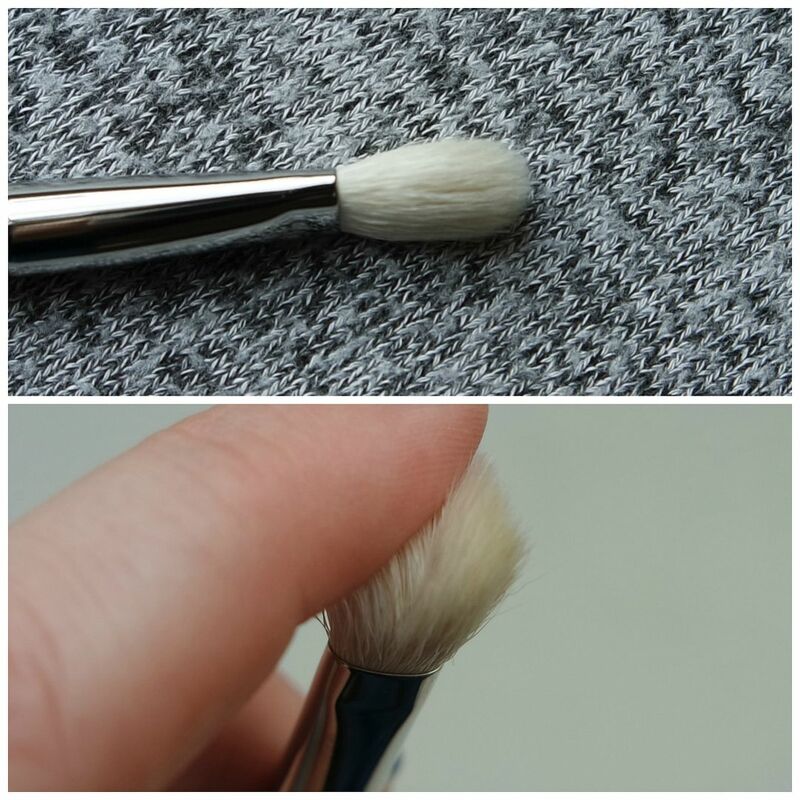 So what makes this brush so special that it trumps all other crease brushes? Because it does everything in one go: it applies, it blends and it intensifies. 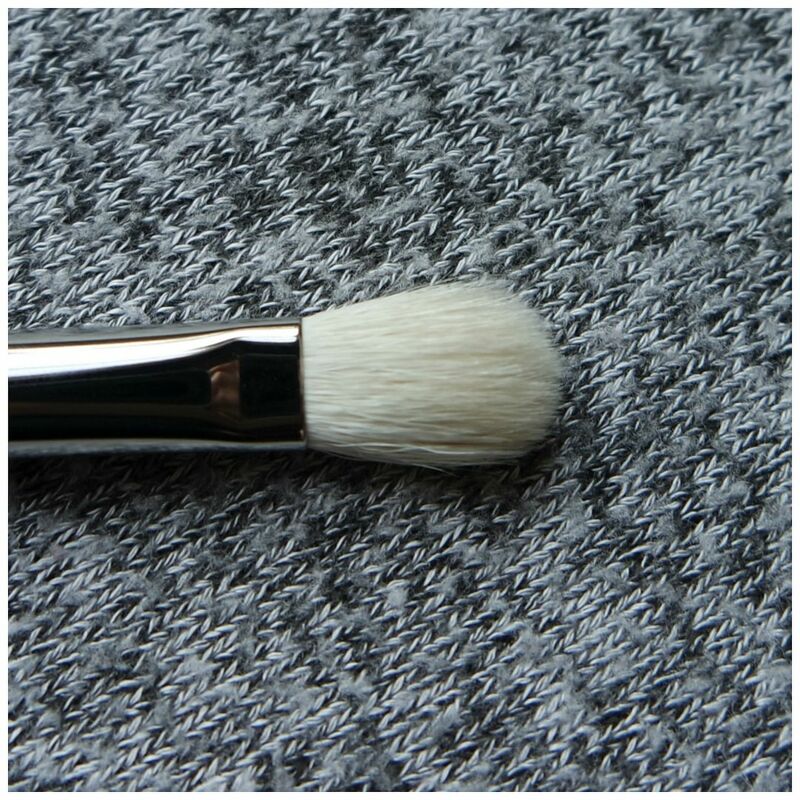 This brush is simply your one stop shop for all things crease work. I love how I can use it horizontally for applying shadow to the crease. Then I turn the brush vertically and you can use the larger surface to blend our the shadow and you’re literally done in seconds. 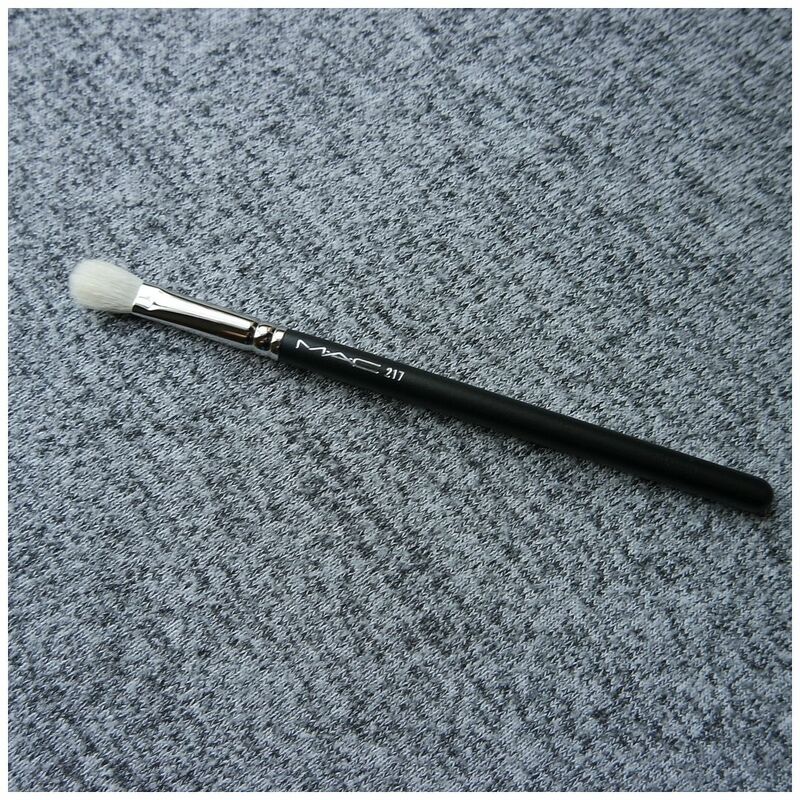 It works well with light shades, dark shades and the brush is neither too big nor too small to fit my eye shape very well. What makes this brush work so well is the fact that it is quite flat, but also fluffy at the same time. The brush hairs are cut in such a way that the brush hairs in the middle are larger than the ones on the edge. That gives this brush a flat and a fat side, with a bit of a taper to the top, but not so much that it is shaped like a point. It is quite a flat brush and I feel that it is the cut of this brush that makes it work so well. It just makes it so easy to use and the brush also has a nice grip to it, which makes that you have as much control with this brush as you would like. 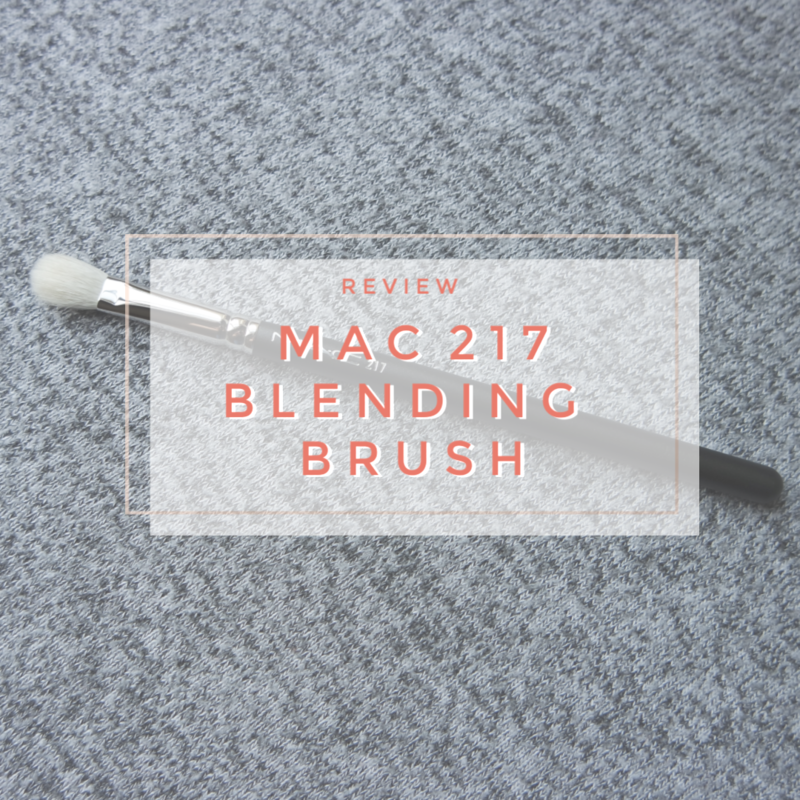 My review of the MAC 217 was long overdue. But I knew that I would do it one day. After using this brush daily for years, I can say that this brush holds its shape well, cleans up well and even after intense use it is still looking in great shape. The brush hairs aren’t quite white anymore, but more a light grey, but overall it has held up well and I can say that it was definitely worth the investment. If the new 217s is as good as this, I would highly recommend if you are looking for a great crease brush that is totally worth the hype. Do you own any MAC brushes? Yeah it is a good one! Unfortunately the new 217 cruelty free version doesn’t work as well. Most of the comparison reviews of the old and new version are not in favour of the new version. Yeah I have heard similar rumors, but if need be, I have a few alternatives from other brands such as Sigma and Zoeva that I like almost as well. So if this ever gives up on me, I will make those work.